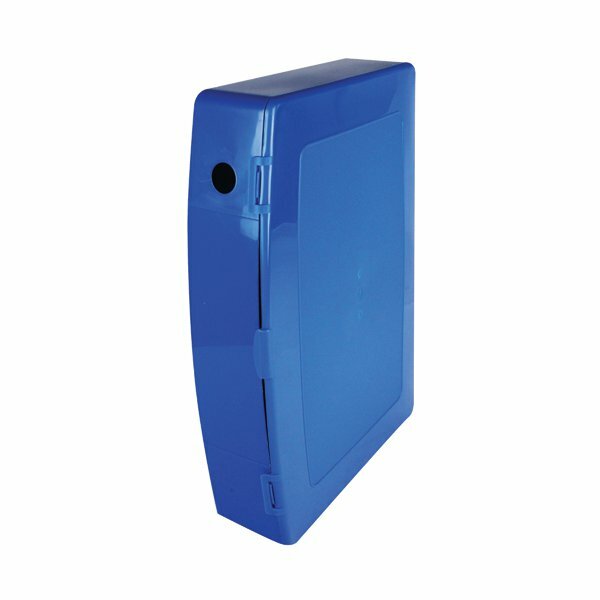 This Q-Connect polypropylene box file provides a simple way to store your documents and loose papers neatly and securely. Featuring a durable polypropylene construction, these files are ideal for storage on shelves and in archive boxes. With a sturdy internal spring clip to hold sheets in place and a curved front for easy access, this box file is a great aid for sorting and archiving. 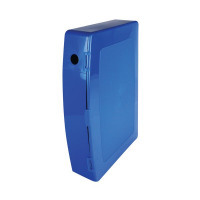 This blue box file can hold both A4 and foolscap documents.